Even though Apple iPhone is an excellent device, it will sometimes behave weirdly. In some cases, the iPhone contacts app displays “Maybe” against the relevant contact names stored inside the app. 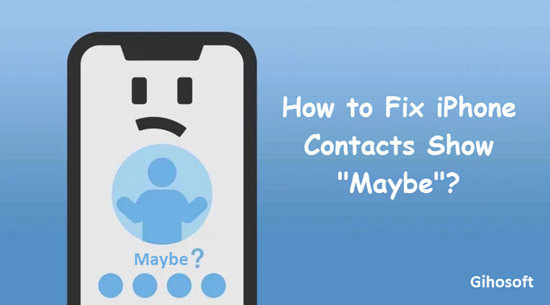 The “Maybe” will display inside the iPhone contacts app when you receive a call from an unknown number not available in your iPhone contact list. Are you wondering how to get rid of the Maybe content from the contacts list? There are reports that this problem occurs even in iPhone running iOS 12 and it won’t go away despite manual editing. It is possible to get rid of Maybe appearing inside the iPhone contacts. In this article, we will list 7 methods to fix iPhone Contact Maybe problem. Tips: If you accidentally lost or deleted contacts from iPhone or iPad, you can always use Gihosoft iPhone Data Recovery to retrieve iPhone contacts without backup. 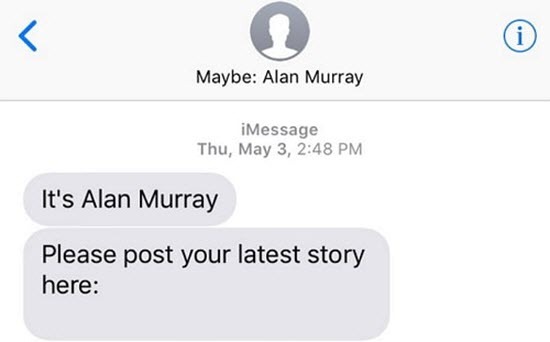 Imagine, you had received a message from an unknown phone number and the content reads something like “Hi, this is paul”. The iOS automatically creates a new contact name such as ‘Maybe: Paul’ for this contact inside the iPhone contact app. 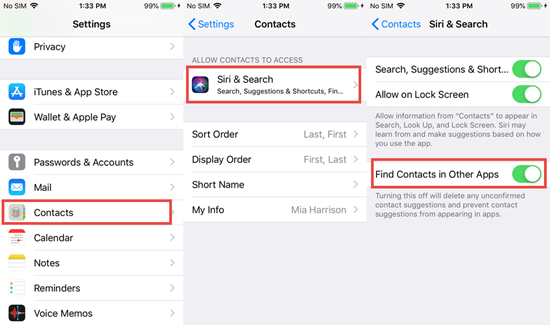 To resolve the problem, you should disable the function “Find Contacts in Other Apps” by navigating to Settings > Contacts > Siri & Search and deactivating Find Contacts in Other Apps by dragging the slider. You can also delete the relevant contact and create them again inside the iPhone Contacts app. Firstly, you should launch the Contacts app and delete the specific iPhone contacts that displays the “Maybe” phrase. You can now create the same contact again into the app by tapping the “Create New Contact” option. Finally, you should verify whether the “Maybe” is still present on the respective contact inside your iPhone. To add the ‘Maybe’ contacts to your contact list, you should select the information icon located on top right hand side to fetch the relevant contact information. Select “Create New Contact” or “Add to Existing Contact” option as per your requirements. After the completion of this step, you will be able to add the Maybe contact to your contact list. Sometimes, there is a possibility that contacts shown Maybe could have changed their old number and is no longer active. This could trigger iPhone contacts to display Maybe. The only way to resolve this problem is to establish connectivity with your contact and confirm the number. You should verify whether the contact has modified the phone number or not. If you received a suspicious message in the form of email or SMS, then you should try to delete the content since it will trigger Maybe problem. After deletion, you should go back to your contacts app and verify whether “Maybe” has been removed or not. You should be careful while granting access to your contacts while installing the apps on Your iPhone. The first step is to check all the apps that have been granted the privileges to access your contacts. You should try to disable all the apps one by one. Otherwise, you won’t be able to find which app is causing problem. 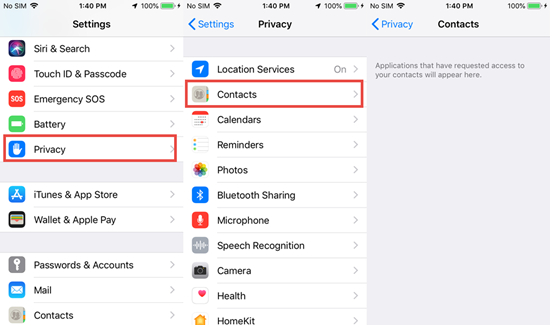 You need to navigate to Settings > Privacy > Contacts. You will view all the apps that have been granted permission to access your contacts on the display and can start the checking process. 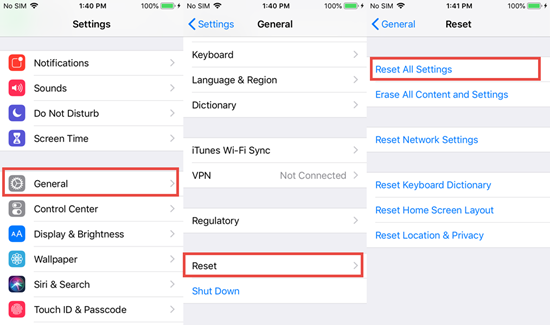 If all the above options fail to work, then you can try to reset the iPhone settings. Navigate to Settings > General > Reset > Reset All Settings to start the process. Even though the reset operation won’t delete data from your iPhone, it is advisable to capture a backup of all the files for safety purposes. When you are making backup of your iOS device, you can either use iTunes and iCloud, or use Gihosoft iPhone Data Recovery to safely extract important data from your iPhone in case there’s something wrong with iTunes or iCloud. It’s easy to fix iPhone Maybe contact problem if you follow the above-mentioned steps. The only point to note is that you should be careful while performing certain tasks such as Reset operation. You should try your maximum to resolve the problem without deleting your content. We have explained several ways by which you can solve the problem. We hope you can successfully remove Maybe from your iPhone contacts by following the steps outlined in this article. Please let us know if you have any other question with your iPhone.